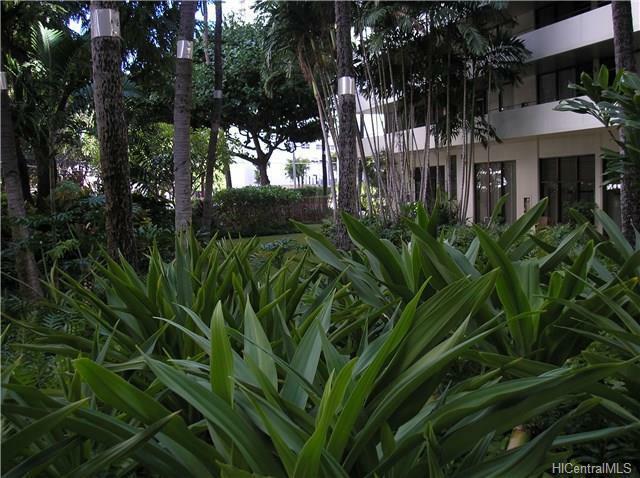 GREAT OPPORTUNITY ONLY A-BLDG 2-BDRM 1-BATH APT AVAILABLE FOR SALE. GREAT LOCATION WITH VIEWS FROM THE APT OF LUSH HAWAIIAN GARDENS, GORGEOUS SALTWATER HEATED POOL & RECREATION AREA & SO MUCH MORE. The Apt is completely furnished & available for showings with short notice. Maintenance Fee includes ALL Utilities, Property Tax, LH Rent & Common Expenses. 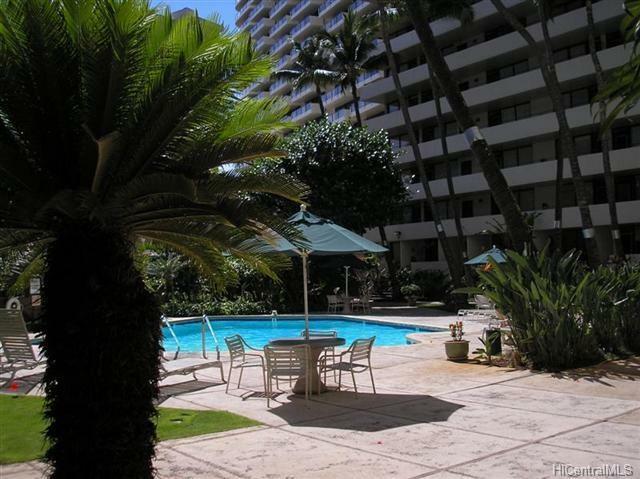 This is in an EXCELLENT Waikiki Location with EZ access to the Beach, Ft DeRussy, Hilton Hawaiian Village Hotel, Restaurants, BusLines & Ala Moana Center, Ward Theatres & Waikiki FUN & Enjoyment.